Origami is a community of homes folded into one unifying complex in the Piedmont Neighborhood of Portland, Oregon. The homes have a streamlined design aesthetic and are built with craftsmanship— a balance of artistry and functionality. Origami homes are open and light-filled with vaulted ceilings. The homes are arranged around a central open space inspired by the classic European courtyard; this ensures that each home is flooded with light, air, and greenery. Offering prices ranging from low 500s to 700k. 2-bedroom single-family home with two-and-a-half baths. 3-bedroom townhome with two-and-a-half baths. 2-bedroom townhome with two-and-a-half baths and an Accessory Dwelling Unit (ADU). Origami is quickly accessible to the popular Mississippi Avenue, the vibrant arts-oriented Alberta Street, the exciting mixed-used corridor along Vancouver/Williams Avenue, historic Kenton downtown, and the emerging neighborhood scaled center in the Woodlawn neighborhood called Dekum Triangle. Origami is directly connected to the Vancouver/Williams bikeway that serves 4,000 bikes per day at summer’s peak. Earth Advantage® Home Certification is a third-party, high performance certification program for new single-family homes developed to ensure homeowners that a certified home is energy-efficient, health and resource-wise. Construction processes were managed to preserve soil from damage, contamination, and erosion. Waste was reduced through recycling and accurate calculation of materials needs. The landscaping includes native and drought resistant plants. Materials and products were chosen for durability to help decrease maintenance and replacement costs. Local materials and products containing a high percentage of recycled content were incorporated. Low emitting products and fresh air supply were used for improved air quality. Low flow fixtures and toilets and tankless water heaters were installed to conserve water and energy. Homes are aiming to be 30% more energy efficiency than a code required building. This focus on efficiency results in substantial savings on utility costs. 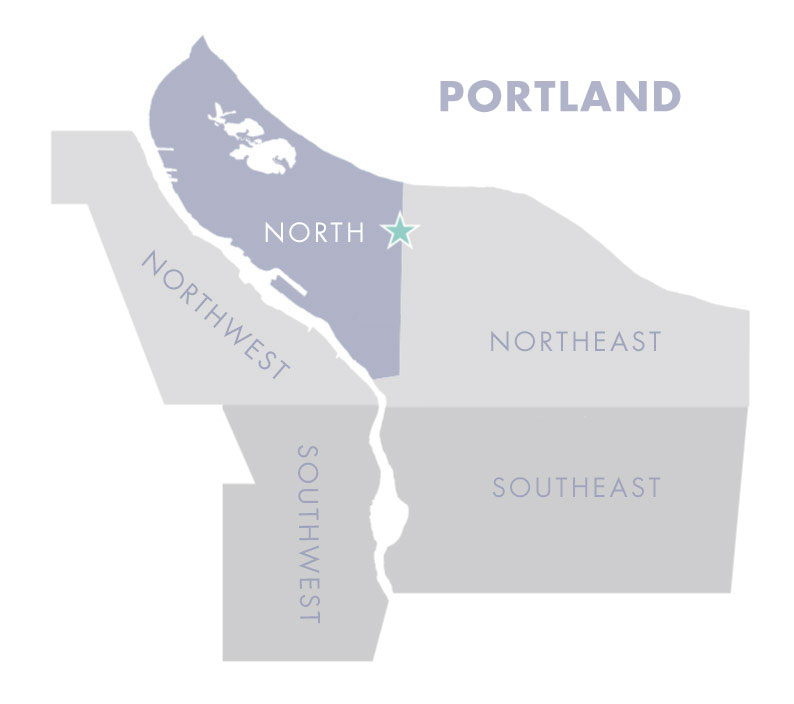 Project^ exists to create a positive impact on the Portland community while setting a new standard for sustainability, quality, and management. Community context is important and design matters. The goal is for every project to be relevant today and far into the future. Project^ has planned, financed, and executed more than 20 projects that fall at the intersection of the public and private sphere. Project^ homes include the modern and sustainable Hayashi in Portland and Basecamp in Bend, Oregon. Waechter Architecture is a full-service Portland architecture firm with a philosophy of distillation and clarity. WA buildings are characterized by efficiency, simplicity, and authenticity with Swiss modernism being the biggest influence on their style of work. This work has landed the firms numerous local, national, and international design awards including 2015’s AIA Portland Honor Award for Garden House. WA has been published in Architectural Record, The New York Times, DWELL, Gray Magazine, Oregon Home Magazine, and Forbes. Hope Beraka moved to Oregon in 1995 and has spent over twenty years living in the heart of Portland. She is a licensed Principal Broker at Think Real Estate with an extensive background in real estate investment and small businesses ownership. With comprehensive experience as an investor in residential and commercial income property, Hope provides invaluable counsel while truly listening to her client’s needs. She serves Buyers and Sellers in the urban core with an emphasis on redevelopment land, new construction, modern architecture, and investment property including owner/user commercial, multi-family, retail and office properties in Portland's core. At Lango Hansen, the design of the landscape is an ongoing process of investigation, discovery, and collaboration driven by the context of each site. Committed to detail and craftsmanship, the firm creates long-lasting designs that express the innate character and value of each landscape. Jane Hansen is committed to design excellence in both her firm’s work and the field at large, having previously served on the Portland Design Commission and Garden Design Magazine landscape advisory board. Lango Hansen’s landscape designs are both lush and sustainable, reflecting the character of the Pacific Northwest. Recently work includes landscapes at the award winning Hotel Modera and L’angolo Estate Winery. Yorke & Curtis has been building excellence in the Northwest since 1988. YC’s highly qualified team has a proven track record of quality and project success and pride themselves in putting people first. YC operates with values that matter: Earned Trust, Natural Transparency, and Generous Service. Over the years YC has partnered with local, national, and international organizations to provide finances, materials, and volunteer hours. In conjunction with the Origami project, YC is sponsoring five children from Rwanda through Africa New Life to complete their high school education. Earth Advantage® Earth Advantage conducts periodic visits to the building under construction to verify insulation, mechanical equipment, window installation, moisture levels, and building technique. After completion, their team assess operation of heating and cooling systems, finished products, and overall airtightness of the homes to verify that homes have passed certification. Each home receives an Energy Performance Score (EPS) that can be used by potential buyers to compare energy consumption and carbon emissions between homes. Is Origami your new home? Get in touch to schedule a showing!